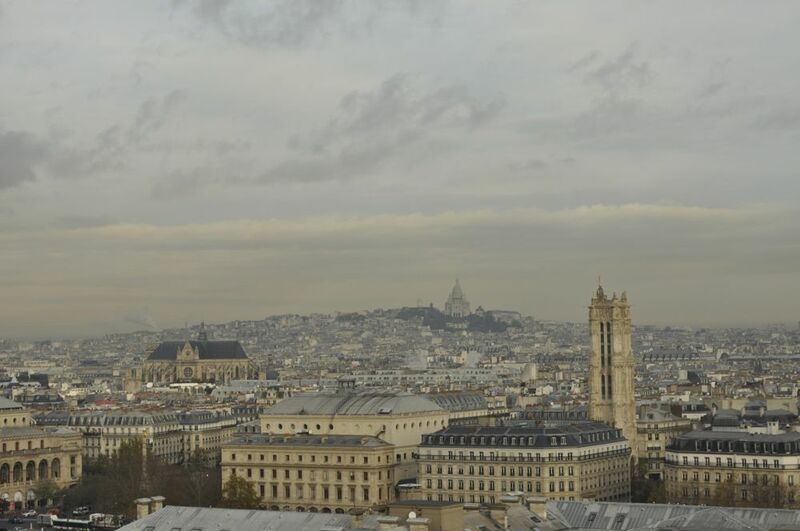 Which is the nicest view of Paris, the most impressive one? Down from the Eiffel Tower? No, not necessarily. I, for my part, definitely prefer Notre-Dame. Read my lips: you’ll be standing there, pinching yourself, shocked by the beauty of Paris. 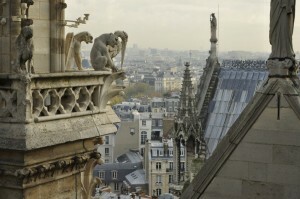 Just think about it: The hunchback of Notre Dame enjoyed the same view as you will. 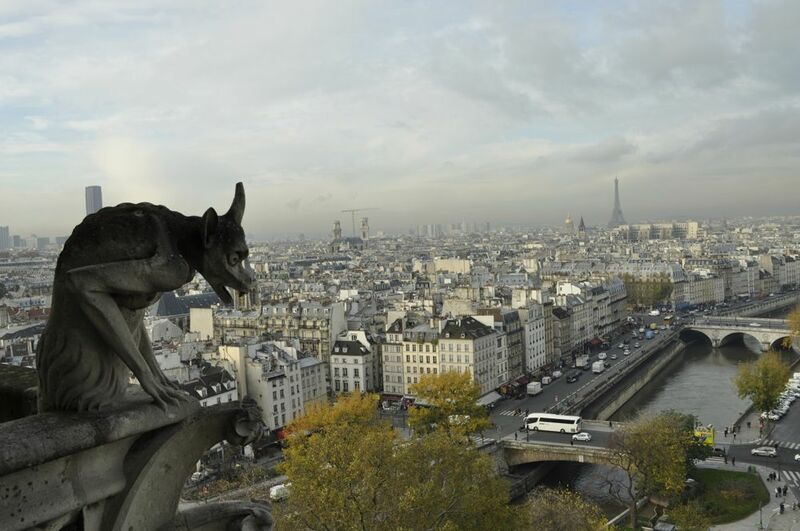 Paris hasn’t really changed since Victor Hugo published his novel in 1831. Walk up the 387 steps of Notre-dame Cathedral (yes, you’d better be in good shape, there is no elevator) and the view will be breathtaking: down there at your feet is Paris. The old, unchanged beauty. Touching the people for hundreds and hundreds of years. Lying there like a beautiful painting, but so very real. And the best thing is: there are no billboards, no satellite dishes, nothing that could spoil the harmony. The explanation as to why this is the most beautiful view is quite easy to give: You’re not only in the very heart of the city, but you are not too high, either. It’s only 69 metres above the ground. 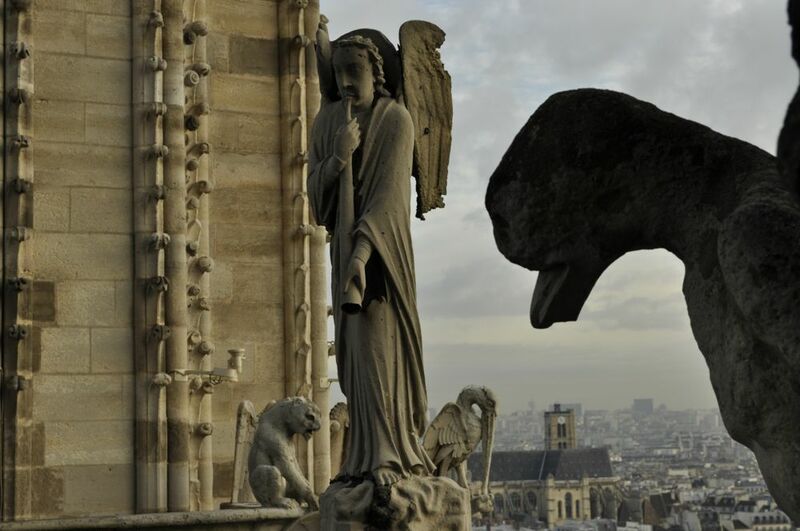 Plus, when looking down from the Chimera gallery, a colonnaded gallery between the North and the South tower, you can shake hands with the gargoyles and other chimeras. Look at the stryga on your right just when you arrive: it’s a scary night bird which gazes out over the capital as if the spirit of evil would prepare its flight through the night. The entrance for the visit of the tower is actually located outside the cathedral, on the left-hand side of the façade when you are standing in front of the cathedral. If you don’t arrive at before 10 am, there will probably a line already. You than walk up the North Tower. After walking down the Chimera gallery, you can continue to walk up the South tower. Here you can admire the Cathedral’s largest bell from the 17th century called “Emmanuel” which weighs more than 13 tons, the clapper alone is 500 kilos! Now you can walk up to the very top of the Cathedral: looking westwards you’ll see the Eiffel Tower and the gilded cupola of the Invalides. If you turn left, looking south, on the left bank, you can see the maze of streets containing the oldest houses in the district of Quartier Latin. On top of the Sainte-Geneviève Mount you’ll see the Pantheon. Continue to the back of the tower and you’ll make out the Ile Saint-Louis and the New National Library built by Christian de Porzamparc. Now continue to the north side and you’ll discover the immensity of the Louvre and in the background Montmartre and Sacre Coeur. Open every day from 1 April – 30 September from 10am-6:30pm, in June, July and August and on week-ends from 10am-11pm; from 1 October to31 March, from 10 am to 5:30 pm. Last access 45 mn before closure. Closed on 1 January, 1 May, 25 December.